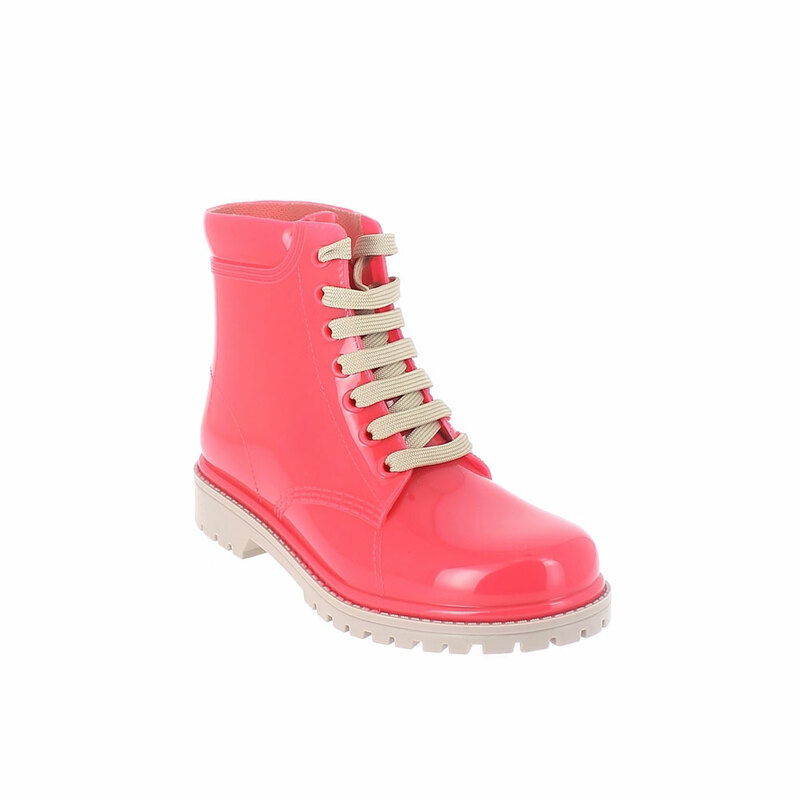 Short laced up boot in two-colour pvc with bright finish. Made in Italy. Available colours for orders: trench, corallo. Size run: 35-41.